Dr. Davis is responsible for Educational Technology and Online Instructional Services at Northern Virginia Community College (NOVA). 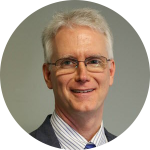 He created and leads NOVA’s award winning Open Educational Resources (OER) initiative and manages the instructional technology training and certification programs. Preston has developed several innovative instructional technology initiatives at NOVA including OER Degree pathways, digital badges for faculty professional development, and the first community college mobile app developed specifically for distance learning students. Preston has served on the WICHE Cooperative for Educational Technologies (WCET) Steering Committee, the Open Virginia Advisory Committee (OVAC) of the State Council for Higher Education in Virginia (SCHEV), and the Executive Council of Community College Consortium for Open Educational Resources (CCCOER) where he currently serves as Vice President of Partnerships and Policy. Preston has taught undergraduate and graduate courses in Philosophy and Educational Leadership, and he regularly delivers presentations and workshops on 21st Century Teaching and Learning, Instructional Technology and Innovation, Open Education, and Social Justice/Ethics at international conferences including AACC, WCET, OEC, OLC, OpenEd, eLearning, Educause, and Innovations. Preston holds BS and MA degrees from Old Dominion University, and an Ed.D. in Educational Administration & Policy from The George Washington University. Preston has served in a variety of positions in higher education including Faculty, Program Manager, Dean, Director and Consultant. Rayan’s administrative responsibilities include supporting the critical educational and instructional technology services for the online, hybrid, and face-to-face courses including learning management systems, telepresence robotics, virtual simulations, assessment technologies, and virtual and synchronous classrooms. Rayan also provides leadership and consultation in different areas including online learning strategic planning, budgeting, marketing, policies, customer and tech. 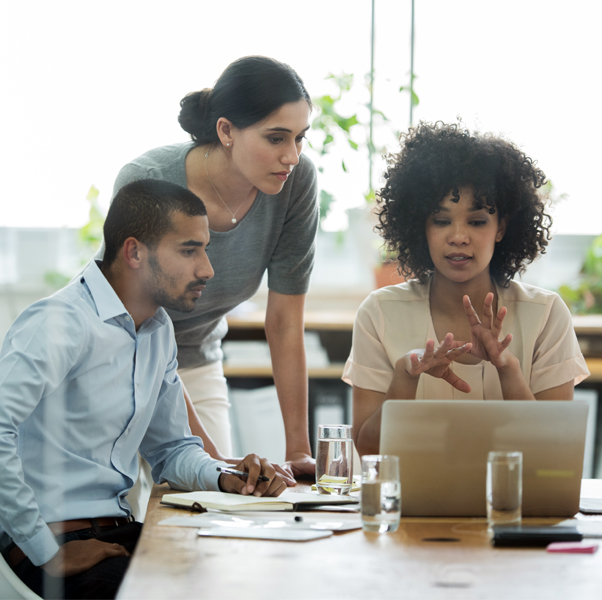 support, data analysis and business intelligence, the implementation of innovative learning technologies, and planning and management for technology-related projects. Rayan’s work experience includes more than 10 years in the field of educational technology. Prior to that, he worked in the information technology field as an IT consultant, project manager, programmer, and network administrator. Dr. Matthew Hurtienne is an Associate Professor of Business and an Assistant Dean for the Batterman School of Business at Concordia University where he is responsible for instructing human resource related coursework and research, business curriculum, assessment, and online education within the School of Business. In addition to working at CUW, Dr. Hurtienne has worked as an academic dean for the Wisconsin Technical College System where he helped to develop programs to meet industry needs. Through involvement with a regional workforce development board and a regional economic partnership organization, he supported the development of many career pathways. He has led an academic team in a transition to a new learning management system, establishment of an internal professional development program for faculty teaching online, development of online student orientation, and the establishment of a metric tool to evaluate and develop best practices in online education. 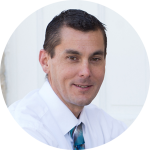 Matthew holds a Ph.D. in Education and Human Resources, with a specialization in Organizational Learning, Performance, and Change from Colorado State University. Dr. Hurtienne has established an exploratory model that looks at factors that influence nontraditional students’ persistence in online education. Dr. Mark Lewis, Director of Instructional Technology, Hillsborough Community College, Tampa, Florida. Dr. Mark Lewis is currently Director of Instructional Technology at Hillsborough Community College in Tampa, Florida. His career in higher education includes similar positions at Boise State University, West Virginia University, and Texas State Technical College, and teaching in multiple disciplines from developmental to graduate levels. His interests include assessment, analytics, and music, a holdover from his first career as a professional trumpet player. Dr. Omar S. López, Associate Professor, Department of Occupational, Workforce, and Leadership Studies, Texas State University. Dr. Omar S. López is an Associate Professor in the Department of Occupational, Workforce, and Leadership Studies within the College of Applied Arts at Texas State University. His academic training includes the physical sciences, management, and education, and prior to coming to the university, worked in different sectors as engineer, business consultant, and education policy researcher. Dr. López uses transdisciplinary methodologies to solve some of the thorniest problems confronting society’s most vulnerable populations. The result is that his publications are diverse, having published in the fields of educational technology, economics of education, teacher education accountability, higher education sustainability, and family studies. Dr. López online experience includes teaching both hybrid/blended and online courses in the department’s undergraduate and graduate programs. After completing his OLC Online Learning certificate in 2012, he served for three years as a Sloan Mentor to other faculty also completing the online learning program. Over the last four years, he has completed OLC’s Advanced Certificate Program, five Mastery Series, 12 OLC workshops, and the 2016 Institute for Emerging Leadership in Online Learning (IELOL). In 2015, Dr. López received OLC’s Effective Practices Award for The Online Graduate Research Forum: An Effective Practice for Extending Students’ Discourse to Global Audiences. 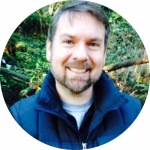 His current work focuses on using online learning best practices to promote students’ learning in field-based, experiential capstones and practicums. 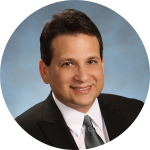 Dr. López earned his BA in Biophysics from Trinity University, an MBA from the University of California at Irvine, and an MSBA in Strategic Planning from the University of Southern California. He earned a Ph.D. in strategy and educational policy from the Public School Executive Leadership Program in the College of Education, The University of Texas at Austin. He resides in Round Rock, Texas with his wife, Marta Helena, and they have two children, Gabriela and Diego. 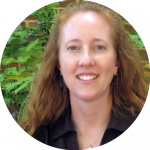 Dori Lloyd is the Director of Distance Education and Instructional Technology at Davidson County Community College (DCCC) in Thomasville, NC. Since 2003 she has served at DCCC beginning as a mathematics instructor before transitioning into her director position. In her current role at DCCC, Dori provides leadership in quality assurance of online instruction and integration of instructional technology to support instructional goals. She also participates in college planning as a member of the academic leadership team. She leads DCCC’s distance education advisory committee and state authorization advisory committee and co-leads the digital accessibility steering committee. 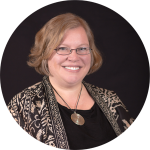 Dori is also a board member of the North Carolina Community College Association of Distance Learning (NC3ADL), currently serving as the vice president of the central region. Dori received bachelors degrees from Pfeiffer University in both communications and mathematics, a masters in mathematics from Western Carolina University, and a masters in instructional technology from East Carolina University. David is the Director of the University of Alaska Anchorage Academic Innovations and eLearning. Reporting to a Senior Vice Provost, he leads UAA’s efforts to innovate teaching through the use of instructional technology. In this role, he oversees the instructional design, eLearning, professional development. online student and ePortfolio Services. 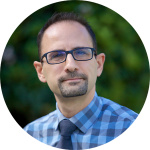 David has expanded online student service offerings, established new and innovative professional development pathways, established an ePortfolio initiative, and redesigned the unit’s instructional design and development processes. In 2015, David led UAA’s efforts to write and secure a U.S. Department of Education Title III, Strengthening Institutions grant. The 5-year $2.25mil grant focuses on activities designed to develop an infrastructure to develop, pilot and evaluate distance education services that reflect UAA’s strategic priorities, addresses chronic problems (low graduation rates, retention of minority students, declining enrollment and credit hours), meet the NWCCU accreditation standards, and strengthen UAA’s financial stability. Formally, David spent 14 years working for The Nature Conservancy, one of the world’s leading environmental non-profits. While there, David worked his way through the IT Services team, as a regional information systems manager, technical writer, and training developer. In his last role, he was a Learning Manager responsible for building, managing and growing TNC’s external learning portal (ConservationTraining.org). One of his proudest accomplishments was building a global learning community of 10,000 members working in 200+ countries. 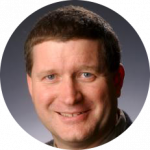 David completed his Ph.D. in Instructional Design and Technology from Virginia Tech in 2013, with a research focus on how online technologies enhance K-12 education. Specifically, he is interested in how online virtual worlds are used and leveraged to deliver collaborative learning environments. His education also includes a Bachelor of Science from Maryville College in Maryville, Tennessee, and a Masters in Park, Recreation, and Tourism Management from North Carolina State University in Raleigh, North Carolina. He is also a graduate of the 2014 OLC IELOL (Institute for Emerging Leadership in Online Learning) cohort. 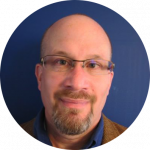 David is Co-Executive Editor of The AAEEBL ePortfolio Review and has multiple publications on the use of technology in education. He has presented at regional, international, and online conferences on topics including instructional design, wearable technologies, online/distance education administration, leadership, and management. Ed has worked for over 30 years in education and has provided leadership in the selection and implementation of three major LMS reviews in the past 15 years. He has a B.S. in Management and B.A. in Education from the University of Nebraska-Kearney, M.S. in Vocational Education from Pittsburg State University and a Ph.D. in Computer Technology in Education from Nova Southeastern University. Ed has been recognized for his leadership with Colleague to Colleague, NCSPOD and KCREACHE along with his certifications as a Quality Matters- Master Reviewer, Facilitator Trainer. Ed has been involved in the OLC consortium for the past two years and attended the 2016 Accelerate conference. Current OLC projects for Johnson County Community College include internal review using Quality Scorecard and OSCQR. Dr. Jill Langen is the President for Baker Online and Baker College Center for Graduate Studies and has 25 years of experience in higher education. She joined Baker College in 1999 and has filled a variety of positions which include faculty member, Department Chair for Marketing and HR, and Dean of the MBA program, and Chief Academic Officer for Baker Online. In her role as President she is responsible for providing leadership, strategic direction and administrative oversight for all campus departments including academics, admissions, business/financial services and career services. Dr. Langen graduated from Michigan Technological University with a Bachelor of Business Administration degree. She holds a Master’s degree from Michigan State University in Materials and Logistics Management and earned her PhD in Educational Leadership from Oakland University. She has been published in the Journal of Assessment and Evaluation in Higher Education, and has presented at several conferences. Jacqueline McArthur is the Director of the Office of Distance Education and Online Learning at Tuskegee University since 2014. Mrs. Mcarthur works to facilitate the development, implementation, and evaluation of distance education courses and programs; marketing; and enrollment management. She coordinates training and resources to assist faculty and staff with incorporating online instructional design principles that reflect current learning theory and effectively employing technology to ensure sustained academic integrity and continual improvement of the student learning environment. 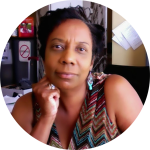 Melanie Shaw has spent the past decade teaching and serving as an administrator in online higher education settings. She is a professor in the School of Education at Northcentral University, where she works with students in the dissertation phase of their program. She also serves as an adjunct faculty at several institutions and facilitates webinars for the Online Learning Consortium. In addition to her teaching roles, she trains faculty to develop and deliver courses online, conducts research on topics related to nontraditional education, and is involved in strategic leadership relative to the vision for online education. 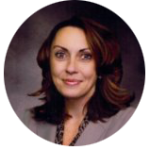 Melanie’s primary research interests include online teaching and learning, organizational leadership, and distance learning instructional practices. She is the author of several books, articles, and chapters including: An Evaluation of Student Outcomes by Course Duration in Online Higher Education; Establishing an Online Professional Development Community to Promote Faculty Engagement and Excellence; Distance Learning Courses: A Survey of Activities and Assignments; and Online Course Activities: A Survey of Assignment and Assessment Types. She is the winner of the Wagner Award for Outstanding Instructional Support and the Online Learning Consortium’s Effective Practice Award. Director of Distance Education and Instructional Technology, Davidson County Community College, Thomasville, NC.